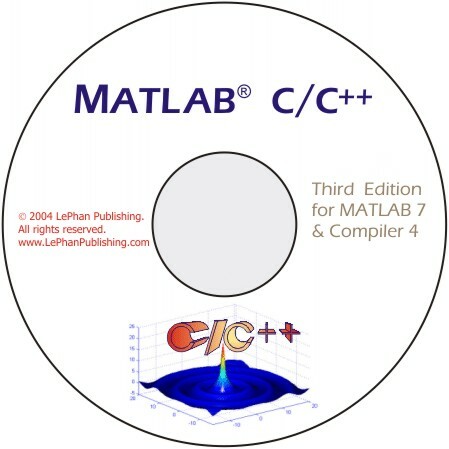 MATLAB C++ Book illustrates the works of C/C++ programming and MATLAB. The book describes very detail how to use MATLAB built-in functions in C/C++ programming. 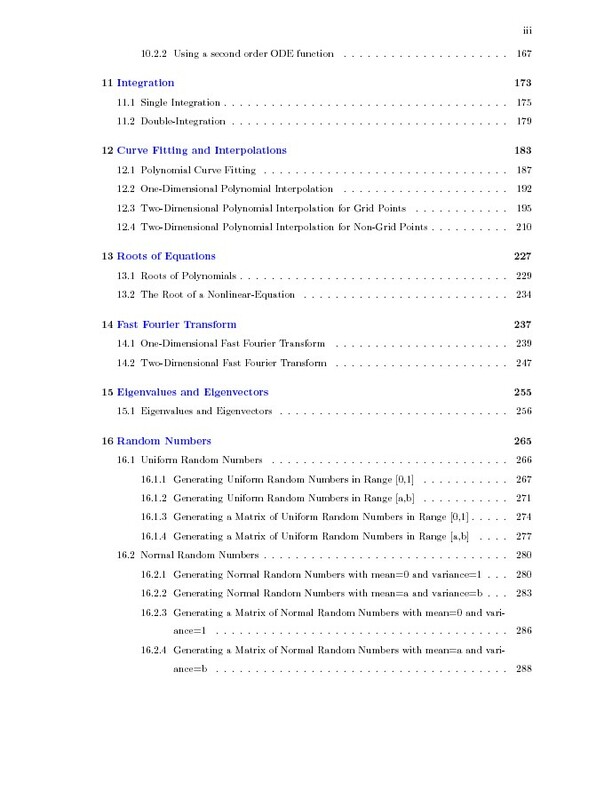 If you are a C/C++ programmer and want to use the quality mathematical built-in functions in your C/C++ applications to solve mathematical problems in C/C++ programming code, then this book is what you're looking for. Using MATLAB built-in functions in C/C++ projects. Call MATLAB workspace from C/C++ functions to perform particular tasks then transfer back results to C/C++ functions. Help you writing a MEX-function for existing C/C++ functions then call it from MATLAB workspace. From existing M-files, help you generating Stand Alone Application to use in a target machine which doesn't have MATLAB software. 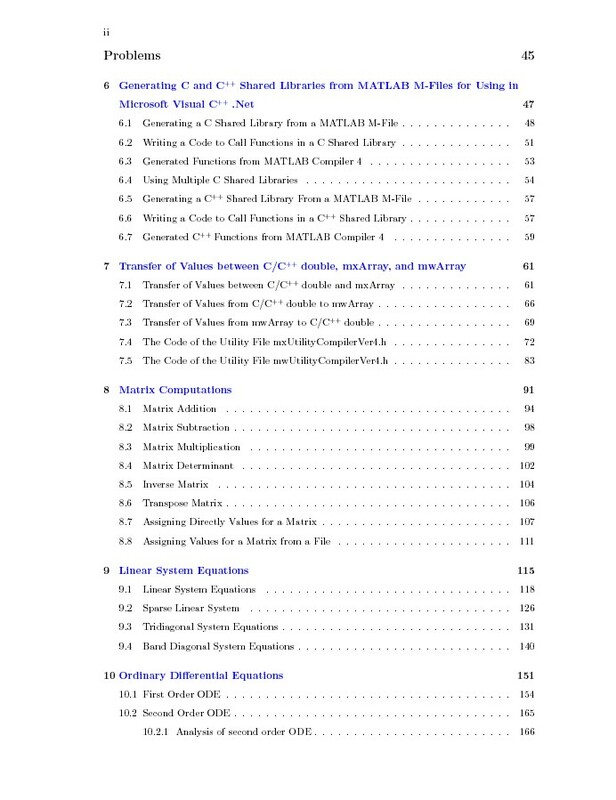 In addition, the book has chapters to help you set up Microsoft Visual C++ 6.0 and Microsoft Visual C++ .Net (2002 & 2003) with MATLAB Compiler 4. 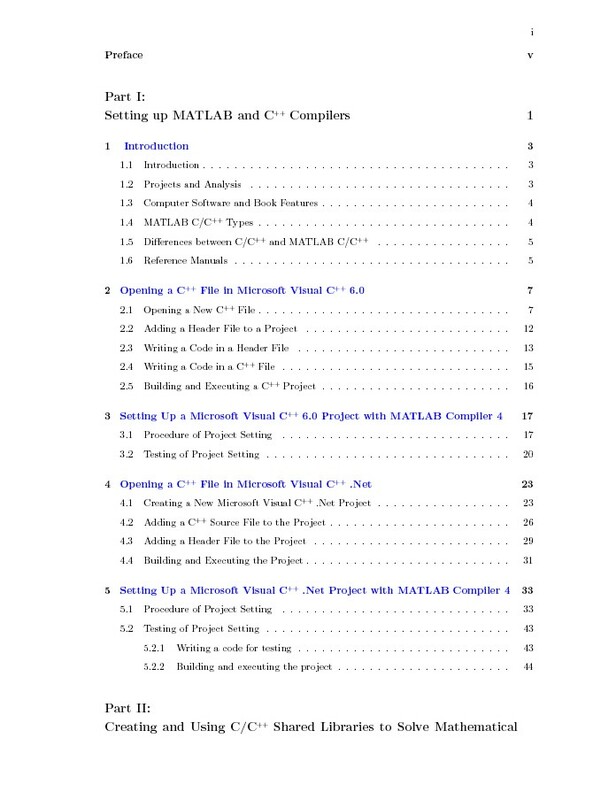 This MATLAB C/C++ Book is an ebook in the pdf format on CD-Rom which also includes complete C++ code examples of 19 chapters . 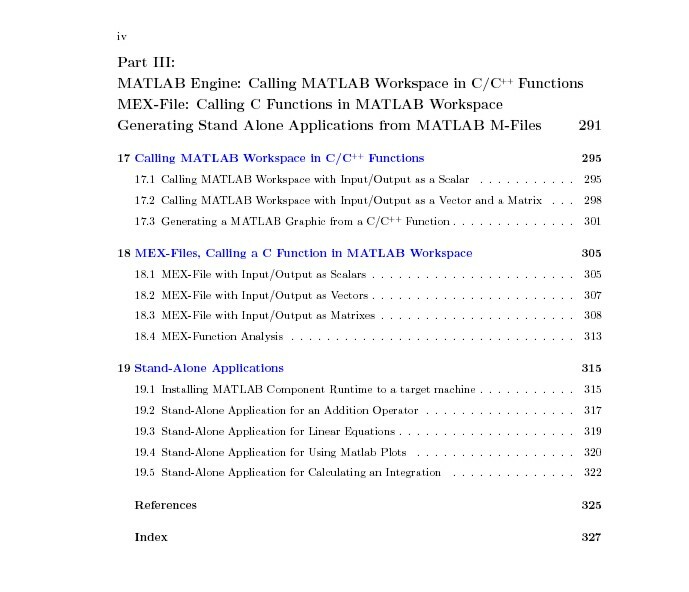 The example codes are developed, compiled, and tested in MATLAB 7 and MATLAB Compiler 4. The C/C++ compilers used to test are Microsoft Visual C++ 6.0 and Microsoft Visual C++ .Net. The examples are working on scalars, vectors, and matrixes which are inputs/outputs of functions for every application. In addition, the example codes are portable and presented in the step-by-step method, therefore you can easily reuse the codes or write your own codes following the step-by-step procedure. The book will help you finish faster you homework, save you hundreds of hours in developing your own code of math functions, and surprise your supervisor by the accuracy of your results. 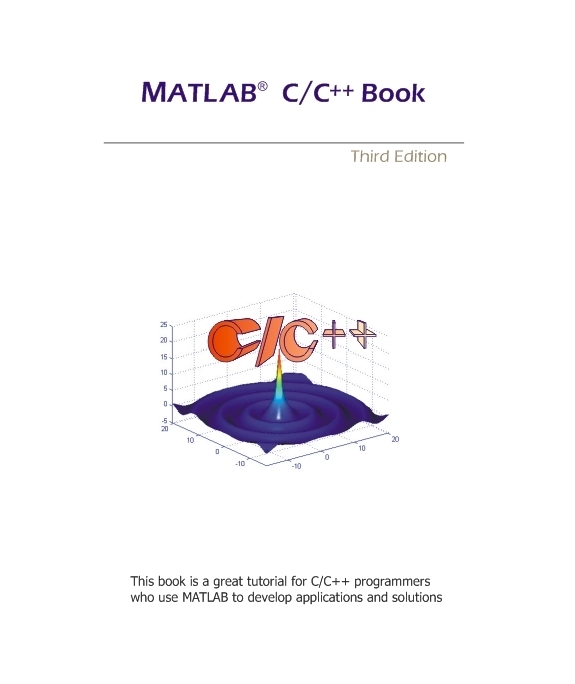 The MATLAB C/C++ Book is a great support for C/C++ programmers who are using MATLAB to develop applications and solutions. This book is reviewed by MATLAB staff and promoted at MATLAB Book Program and Technical Book Resources. Using the combination of both tools, C/C++ and MATLAB, you have the best tool in your hand to solve the mathematical problems. MATLAB and MATLAB Compiler are registered trademarks of The MathWork, Inc.